Project SNOWstorm is one of the world's largest collaborative research projects focusing on snowy owls, staffed by a largely volunteer team of scientists, banders and wildlife veterinarians, and funded entirely by tax-deductible donations from the public. With your help, we're continuing our work this winter, learning more about these majestic Arctic predators. Explore our site to read updates, and see the latest maps showing the movements of the snowy owls we are tracking. Our 2018 plans are summarized below, but you can also read more indepth information on our site . Since our founding in the winter of 2013-14, we've used high-tech GPS transmitters to follow more than 70 snowy owls on their travels between the coastlines, cities and farmland they inhabit in winter, and their breeding grounds in the Arctic. This work has uncovered previously unknown behavior, and shed light on poorly understood aspects of the snowy owl's life. Explore the maps! This year, for the first time anywhere, we worked with colleagues in the International Snowy Owl Working Group to deploy satellite transmitters on young snowy owls about to leave the nest in Alaska to learn about juvenile movements and mortality, a critical but until now missing piece of information. With the success of this pilot project, we will be expanding that study to Canada, Greenland and Norway. Our team of wildlife veterinarians and pathologists, with help from the University of Pennsylvania's New Bolton Center, have necropsied more than 200 snowy owls that have been salvaged after dying from accidents, disease or injury -- by far the largest examination of the health and condition of wintering snowy owls even undertaken. We've found that while migrant owls are generally in good condition, there are worrisome signs that environmental toxins like mercury and rodent poisons are a serious threat to many snowy owls. Read about some initial findings. 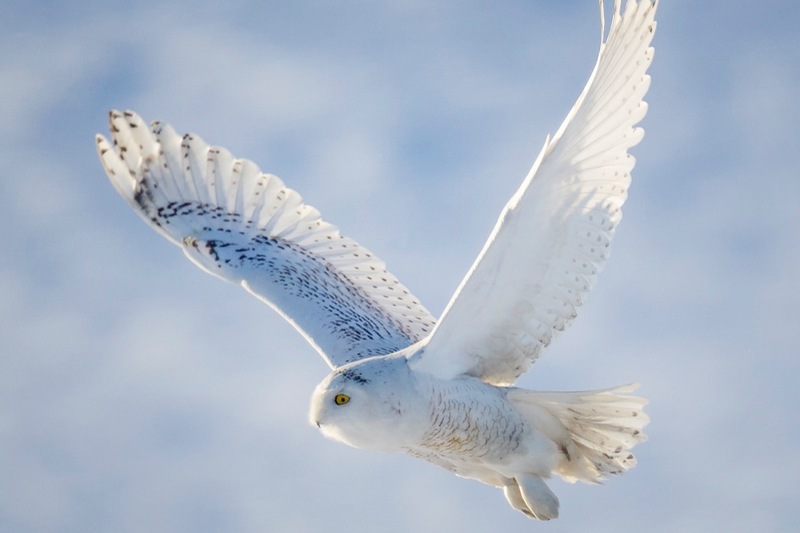 Because snowy owls are attracted to the wide, open spaces of airports, we also work closely with airport authorities and federal wildlife agencies to learn how to keep planes and owls apart, for the safeguarding both passengers and birds. Everything we do at Project SNOWstorm is shared with the public; all of our tracking maps are available online and updated as new transmissions come in, allowing folks to follow the owls as we ourselves do. Our collaborating partners at Hawk Mountain Sanctuary in Pennsylvania are also developing school curricula based on our snowy owl work, and we happily cooperate with students and teachers who request our data for classroom projects and hands-on workshops. Project SNOWstorm's tracking work represents the largest set of winter movement data for snowy owls, and we're drilling down into it to see what it reveals about these Arctic migrants, the habitats they use, and how best to protect and conserve them. We're supporting the work of Rebecca McCabe, a Ph.D. candidate at McGill University, whose doctoral research uses our data to explore several aspects of snowy owl winter ecology. 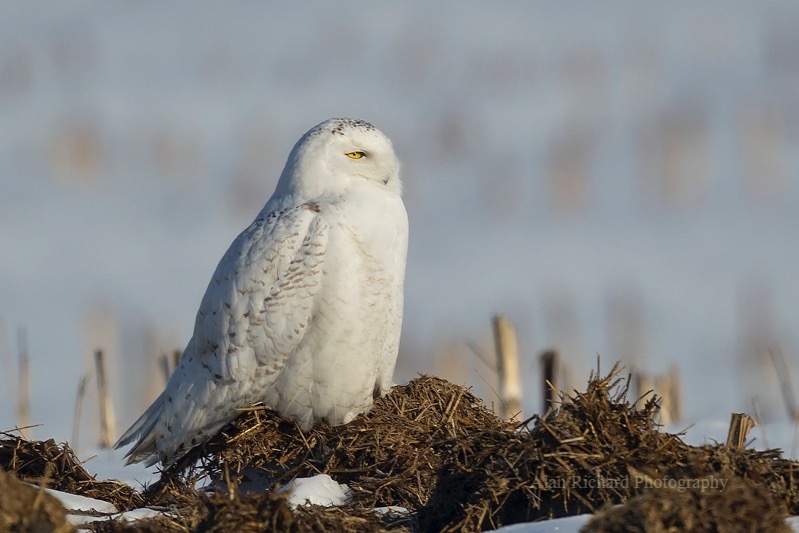 And we continue to publish a stream of peer-reviewed scientific articles based on our research, so our findings inform the wider conservation of snowy owls. Snowy owls are beautiful and exciting -- but we also do this work because they face increasing threats in a rapidly changing world. They are at risk from vehicle collisions, plane strikes and electrocution from power lines. Their bodies accumulate pollutants like mercury and lead, or pesticide residues like DDE and rodenticides. When they show up near populated areas, they can sometimes be harassed (usually inadvertently) by humans who get too close, too often, to watch or take pictures. Because they breed in the highest latitudes of the Arctic, snowy owls are also among the species at greatest and most immediate risk from climate change, especially as winters there become warmer and wetter, interfering with the natural boom-and-bust cycles in their primary Arctic prey, lemmings. In some parts of the Arctic, lemming cycles have flat-lined in recent years, and snowy owls have ceased breeding in those areas. Finally, scientists now realize that, because snowy owls are highly nomadic, earlier estimates of their total population were badly inflated. More careful estimates suggest there are only about 28,000 in the world (IUCN Red List v3.1 2017) -- only a tenth as many as once thought, and thus much closer to the edge than anyone had feared. For all of these reasons, we hope you'll consider supporting our work at Project SNOWstorm . Your donation is 501(c)(3) tax-deductible through our institutional home, the Ned Smith Center for Nature and Art in Pennsylvania, and will help us understand and protect this magnificent hunter. You all have been incredibly kind this year with your donations, and we wanted to thank you as 2018 comes to a close. Our list of donors includes friends, family, colleagues and partners, and we are grateful for each of you. Thanks, and have a wonderful New Year! Incredible! So far, 65 very generous snowy owl fans have contributed to making the Project SNOWstorm #GivingTuesday event a success. With over $4,000 raised already we are nearly to 20% of our goal. Can you help us reach 25% by sharing the campaign on Facebook, Twitter, and by emailing your friends who might be interested?